The "Big" apple is a BIG scam, just like Crowley’s Vale Big Orange, you cannot claim a big thing by simple writing ‘BiG’ onto the object, especially when the object in question, isn’t even that big. Receiving a whopping 0/25 Stars, I hereby remove this non-big thing off the Big Things of OZ, Big list! 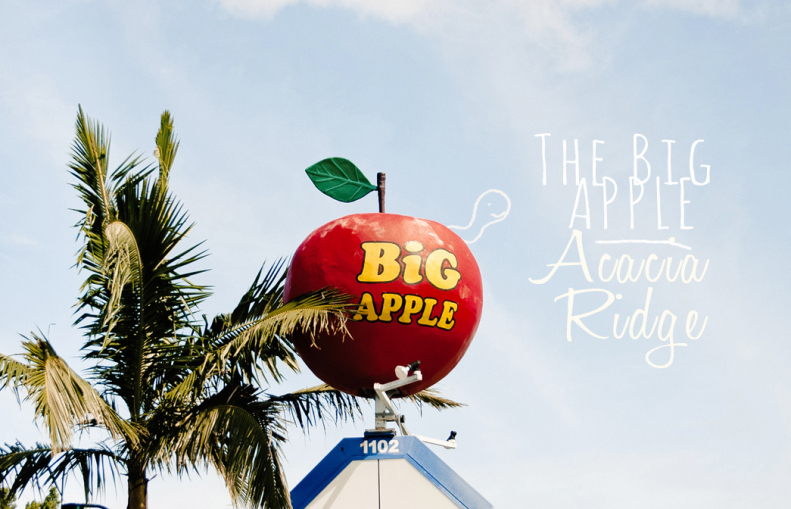 Address: Big Apple Shopping Center, 1102 Beaudesert Rd, Acacia Ridge, QLD.